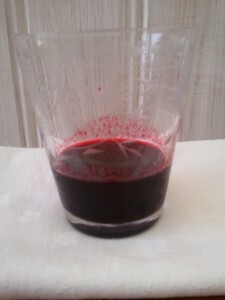 This week, I made a pint of blackcurrant vodka after trying a similar one at a Polish restaurant. It is – and I do not use the term lightly – ambrosial. So much so, that H has entirely abandoned his ‘take-it-or-leave-it’ approach to alcohol, and has taken to chugging the stuff like it’s Ribena. Take a very clean Kilner jar, and fill with 1/3 blackcurrants (preferably frozen, because it breaks down the skins a little), 1/3 caster sugar and top up with vodka. Shake regularly for the next day or so, until all the sugar is dissolved. It will be ready to drink after a week, or sooner if you’re desperate. Strain off the berries (for heaven’s sake wear an apron), bottle and keep in the freezer. Love the idea of making blackcurrant vodka? 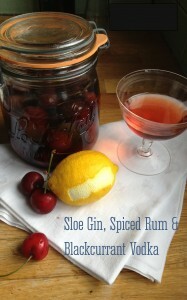 Take a look at my e-book, Sloe Gin, Spiced Rum and Blackcurrant Vodka, which contains all you need to know about making your own delicious liqueurs from fruit, flower and spices. Recipes include vanilla vodka, mojito rum and lavender whisky – and there are serving suggestions (delicious cocktails) and ideas for developing your own unique spirits, too. If you’re on Amazon Prime, you can even borrow it for free! 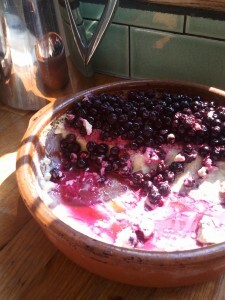 This is how I used up the steeped blackcurrants – utterly delicious. The recipe is based on the one in Guy Watson and Jane Baxter’s Riverford Farm Cookbook. 200g blackcurrants or other fruit. 1. Put the cream and milk in a pan. Split the vanilla pod lengthways and scrape the seeds into the cream mix, adding the pod as well. Bring to just below boiling point, and then take off the heat and leave to infuse for 30 minutes. 2. Beat the egg yolks and sugar until pale and creamy. Add the cream mix (vanilla pod removed), and mix well. 3. Place in a 9″ ovenproof dish, and place that in a larger baking tin containing about an inch of boiling water. Bake at 140C/gas mark 1 for about 50 minutes, until the custard is set. 4. Leave custard to cool to room temperature. When ready to serve, pile the fruit on top. 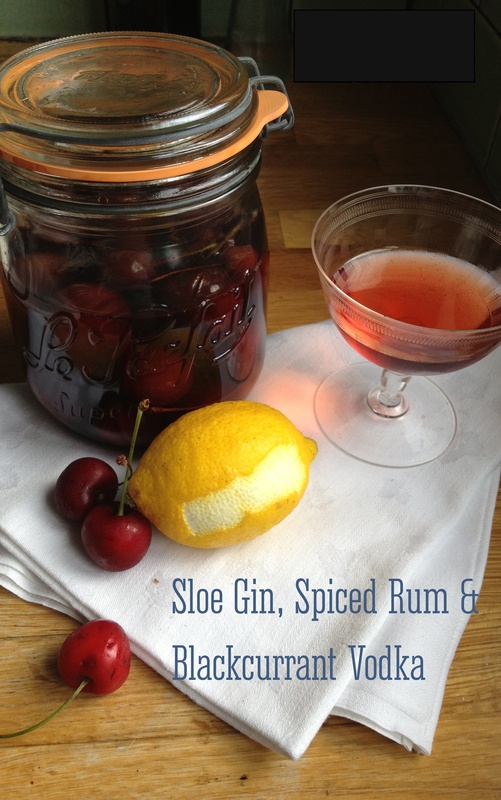 Sign up to my Sloe Gin, Spiced Rum and Blackcurrant Vodka mailing list for a free recipe sheet containing more ideas for using up boozy fruit. Good point. I suppose some people don’t appreciate their floor being dyed cerise pink. which is stupid as carpet that colour is bloody expensive. Leave a Reply to Betty Herbert Click here to cancel reply.